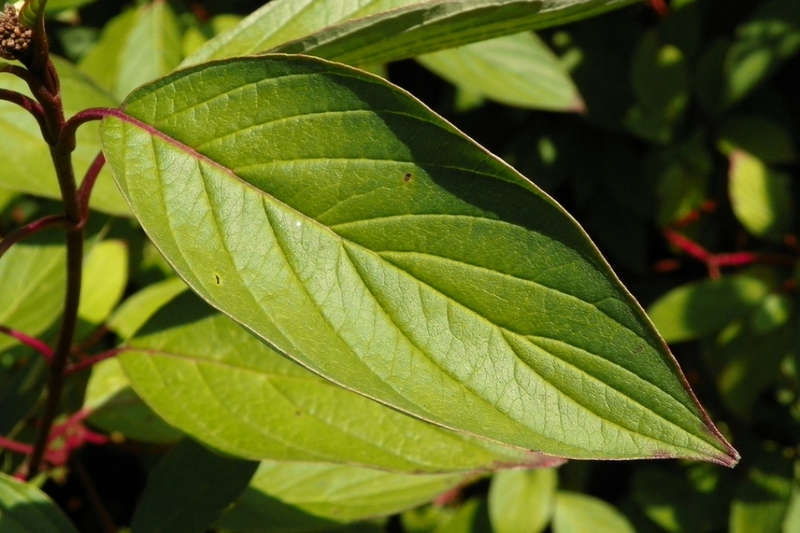 Red Barked Dogwood (Cornus alba): growing, planting, caring. 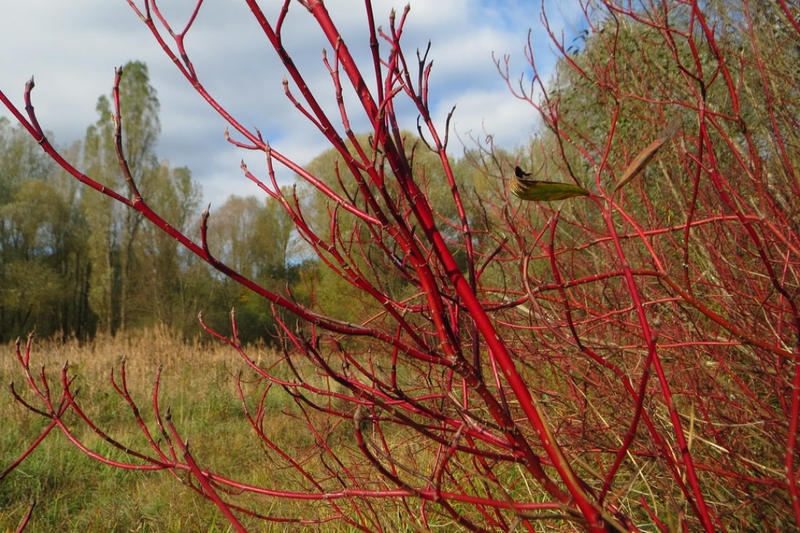 Lovely red stems in autumn through late winter, the brightest winter bark of any cornus. 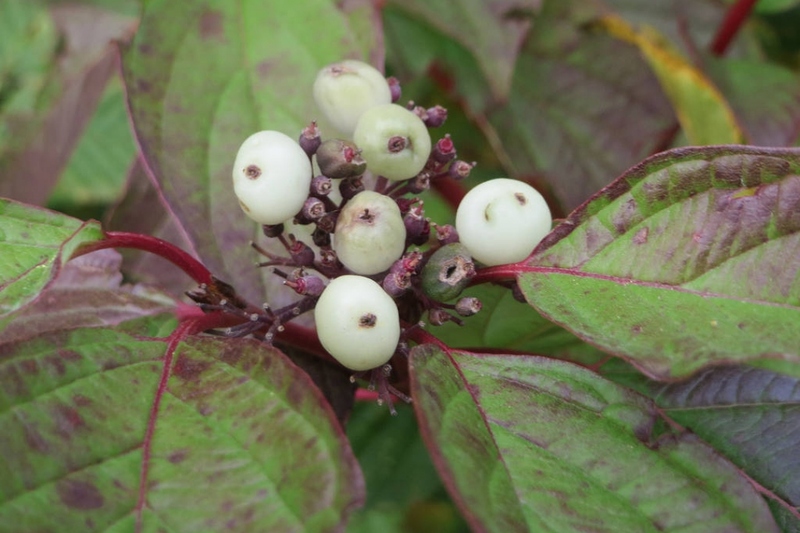 Cornus alba - the red-barked, white or Siberian dogwood - is a species in the family Cornaceae native to Siberia, northern China and Korea. 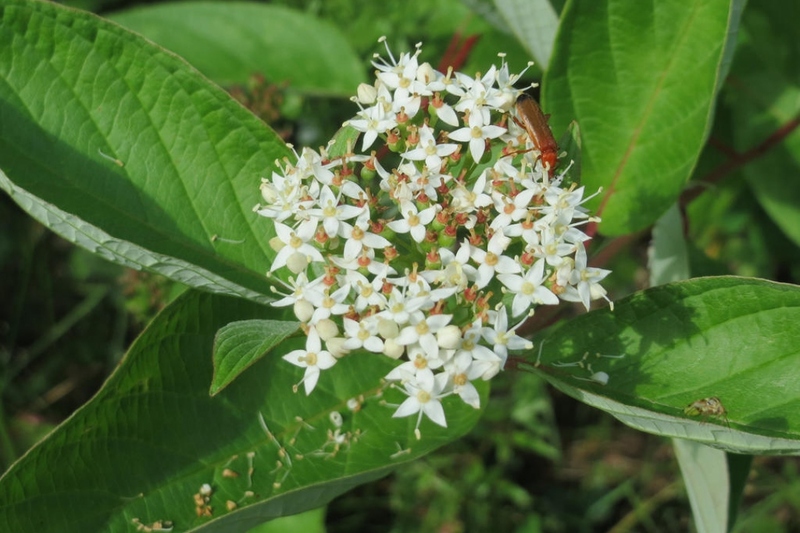 It is a large shrub of suckering habit, growing to 3 m (10 ft) high, with ovate leaves turning reddish in autumn, and small creamy flowers in flat heads. 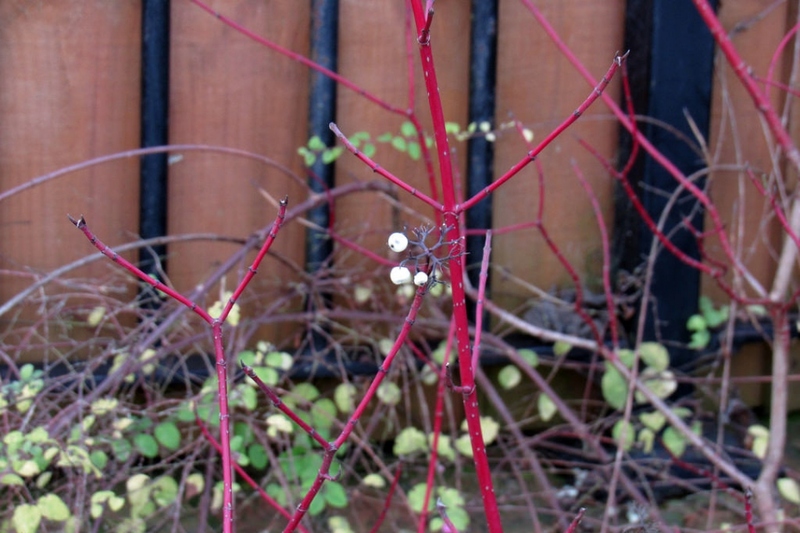 Cutlivars include 'Aurea' - with yellow leaves - ‘Elegantissima' - deep-red stems and white flowers - and ‘Spaethii' - variegated leaves with yellow margins.